Running after a little one has curbed my baking mojo somewhat but I restarted Baking for Hospice last weekend and for my first big bake in a loooong time I decided to go with something that looked spectacular with minimal effort. 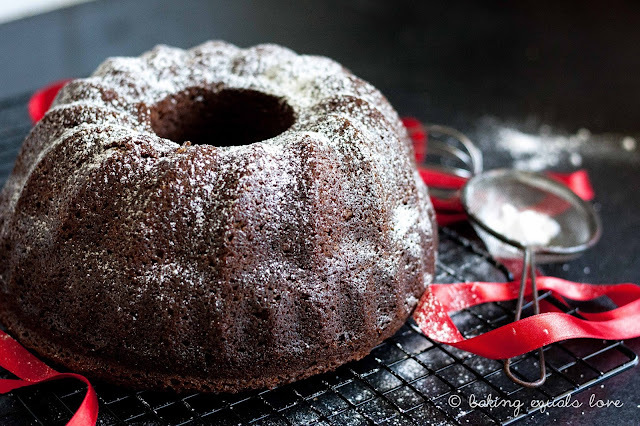 I have always been drawn to bundt cakes. They are just so beautiful. I even got given a bundt tin for my birthday a while back. But visions of having to dig lumps of cake stuck to the bottom of the tin had kept me from trying it out until now. I have to admit I said a little prayer and held my breath before flipping the cake over. Luckily only a tiny bit stuck to the bottom and that was probably because I was so impatient to see if it had worked or not I didn't wait for the cake to cool properly. Now that I've caught the bundt bug bad I'm eyeing up the gorgeous Nordic ware Kugelhopf tin to add to my collection! 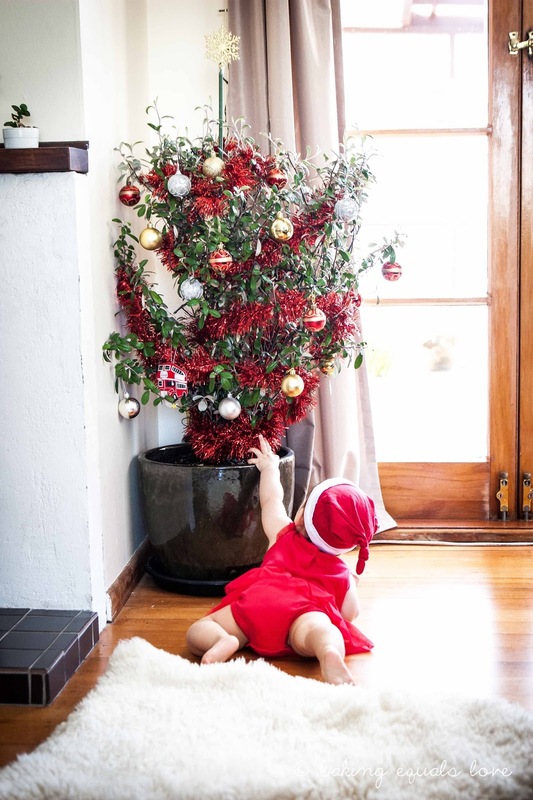 Pretty please Santa? 1. Preheat oven to 150oC with your oven rack in the middle of the oven. 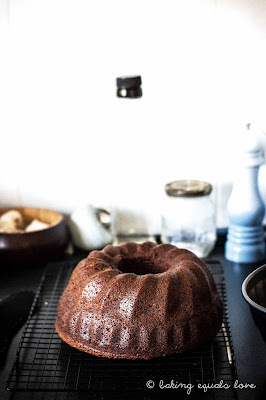 Grease your bundt cake tin liberally with melted butter - really go to town with it! 2. Microwave butter and golden syrup in a pyrex bowl/jug for 1 minute to melt. In a separate small bowl whisk the eggs into the milk. 3. In a large bowl whisk the dry ingredients squeezing out the clumps of brown sugar as you go and make a well in the centre. Pour in the melted syrup/butter into the well followed by the milk and eggs. Whisk to just combine - the mixture will be runny. 4. 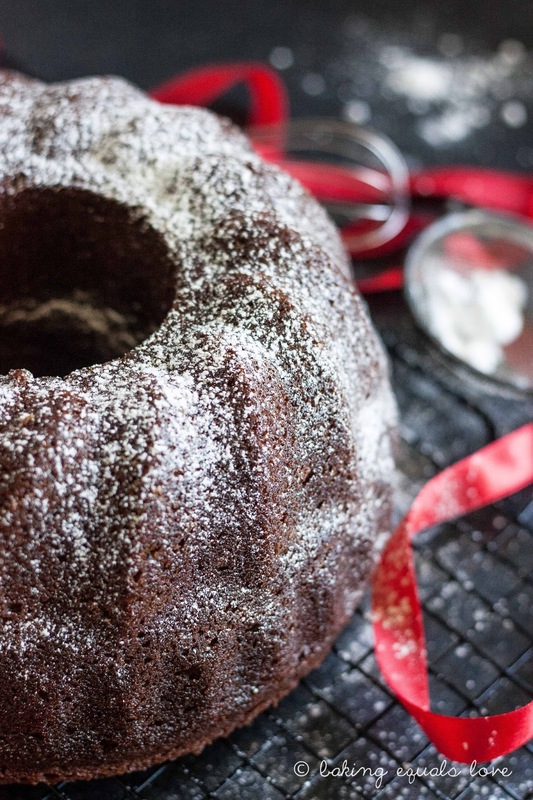 Pour batter into your prepared bundt cake tin. Bake at 150oC for 60 minutes until a skewer comes out clean. Cool in the tin for 15 minutes before turning out on to a wire rack to cool. 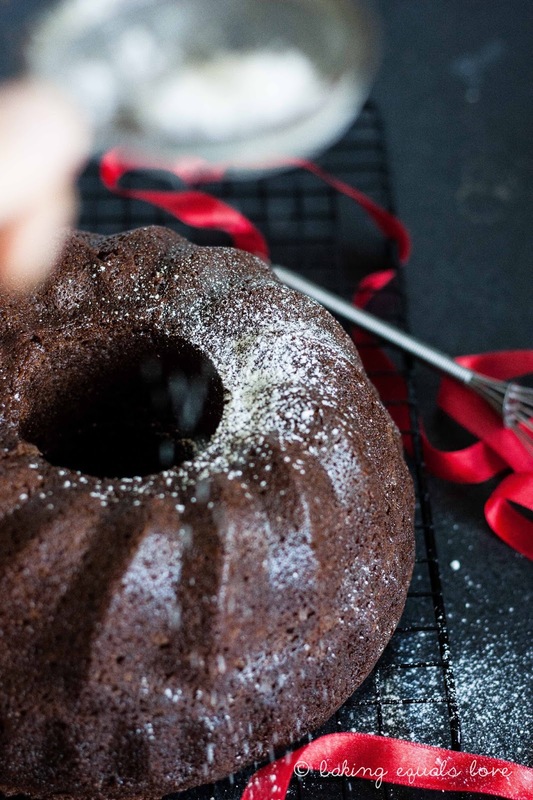 Decorate with icing sugar when completely cooled.